If you are interested in holding a party at the museum, please complete the Birthday Party Booking Form. We will get back to you to confirm the slot, or if applicable, offer alternative dates. Birthday parties must be booked no less than 30 days before the event date. Once you have received an Order Agreement, we will issue you with an invoice for 100% of the package fee. This constitutes a non-refundable deposit. Payments are in GB Pounds Sterling and can be made by BACS transfer or by credit or debit card. NAMTL does not accept AMEX. All prices are inclusive of VAT. Please note that confirmation of your booking requires a signed copy of NAMTL's Order Agreement incorporating Terms and Conditions, together with full payment of the package fee. What age group do you cater for? Our parties cater for 8 year olds and under. This is based on the nature and suitability of the activities in Play Base, our family play area. Can I hold my party at any time? Each standard party experience lasts 2 hours. If you would like to extend your time in Play Base by 1 hour, please contact birthdays@nam.ac.uk. What is the Party Builder? Our Party Builder is an online tool for adding extra features to make the occasion that little bit more special. These extras are provided by NAMTL's approved suppliers and include birthday cakes, additional food for party children, and food and drink for adults. Upon confirmation of your booking, we will send you a link to open the Party Builder. Please note that you will need your Order Agreement Number to use this tool, and will be invoiced separately for any extras. What is the minimum/maximum number of children I can invite? Our General Hilarity package is based on 20 children – you can invite fewer, but will still be charged the standard package rate. If you would like to add extra children, please use our Party Builder (extra numbers will be charged at £23.25 per child). Play Base can hold a maximum of 30 children. Our Major Fun package is based on 10 children – you can invite fewer, but will still be charged the standard package rate. Please note that due to the size of a family table in the Café, no extra numbers can be added to this package. Do adults need to attend the party? Yes. The supervision of children is your responsibility. At least 1 adult (parent or carer) for every 4 children must attend. Please ensure that you have sufficient adult helpers for the duration of your party. While we're happy to help you where we can, parties are not supervised or led by our staff. 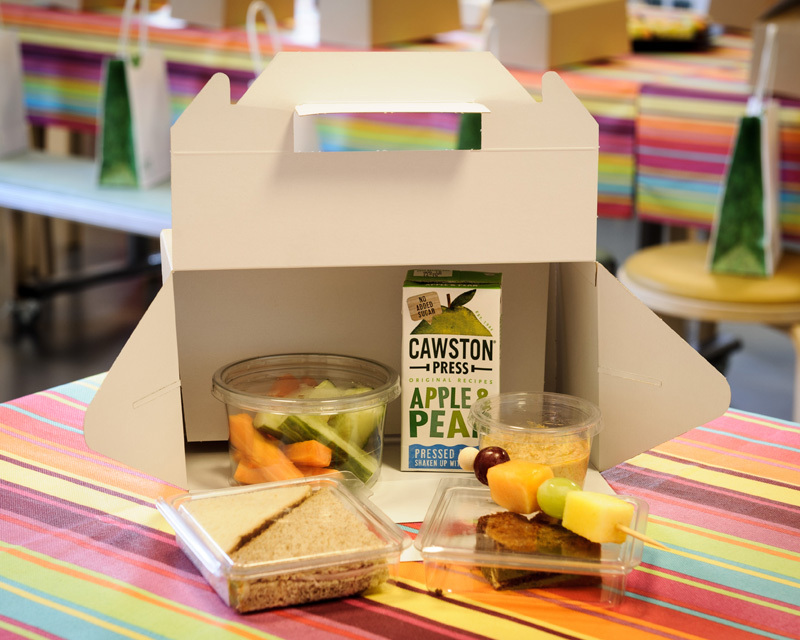 Our standard packages include venue hire, children's food packs, party bags and custom invitations. These packs are freshly made on site by our in-house caterer, Searcys, and are included in the price of packages. Jugs of tap water, paper plates and napkins and plastic cutlery and cups are also provided. Please note that food or drink is not allowed in Play Base. Can I bring my own food or birthday cake? Unfortunately, no food or drink can be brought onto the premises. If you wish, you can order additional food for party children using our Party Builder. 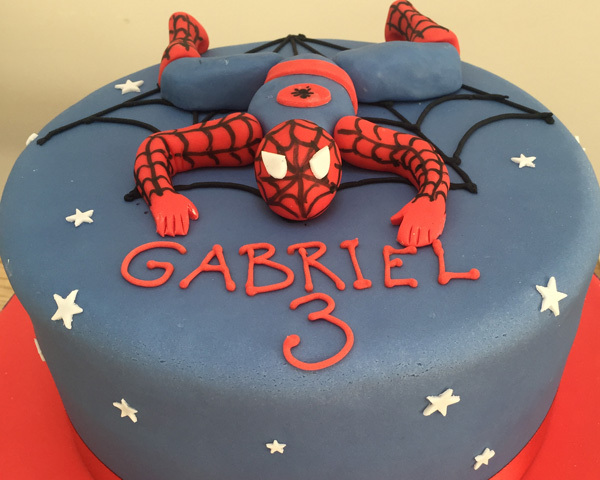 It also includes birthday cake options, starting from £45.00 for a chocolate or vanilla sponge, up to £258.00 for a bespoke Happy Birthday 3D fondant cake (see Spiderman cake). 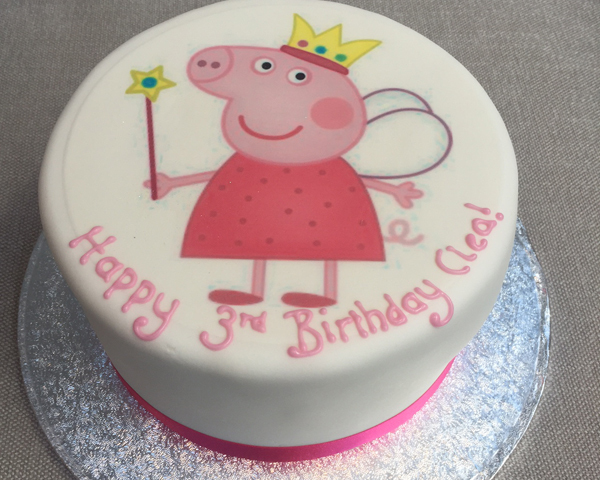 Flat fondant cakes (see Peppa Pig cake) cost £135.00. Because of very sensitive smoke alarms, we cannot have naked flames inside the building. All our cakes are decorated with LED candles. What if a child has a food allergy or special dietary needs? We will do our best to cater for any special dietary requirement. Please inform us as soon as possible after booking your party. How soon do I need to confirm my requirements? Any Party Builder extras need to be confirmed at least ten (10) days before your party. Is food and drink provided for adults? We provide all service ware. How do I get my invitations? Upon confirmation of your booking, we will send you a link to the custom invitation. It can be emailed or printed. We recommend that your guests arrive 5 to 10 minutes before your time slot. Our parties operate strictly within the scheduled slots. If I’ve booked a General Hilarity party, when do I get access to the private party room to decorate? You will have access to the private party room, The Mess, half an hour before the start of your party. The walls are neutral so you can easily theme the space. Please use white tack to stick up banners and posters and if you would like to bring helium balloons, please make sure that they are weighted – we have a high atrium! After the party, please take away all your decorations. The Mess is laid out with a large rectangular table (clothed), seating and soft seating. Our caterer will bring your food and drink into the private party room just before you finish your session in Play Base. Play Base is about having fun and being adventurous. We recommend that children wear comfortable clothing. Where can we put our bags and presents? The museum has a cloakroom where coats and bags can be left. If you have booked the General Hilarity package, you can store bags and presents in the private party room. NAMTL takes no responsibility for any lost or damaged items. Yes, you can photograph or film your party in The Mess for General Hilarity and in the Café for Major Fun. With the General Hilarity package, you can also take photographs in Play Base. As the Major Fun package includes shared use of Play Base, photography and filming are not allowed for child protection reasons. Perfect for boys and girls alike, the National Army Museum is the ideal place for kids to celebrate their birthday with friends. Our new interactive galleries and family-focused events mean that there is plenty to do in the new National Army Museum. Play Base is an immersive experience for children aged 8 or under, offering a variety of fun and engaging activities including our soft play area.